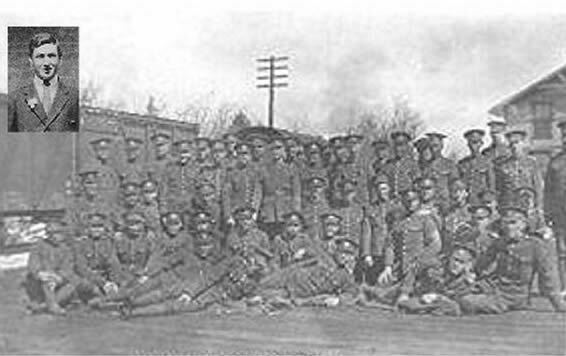 Recently we received some valuable information from Robert Little about his ancestor's WWI experience. 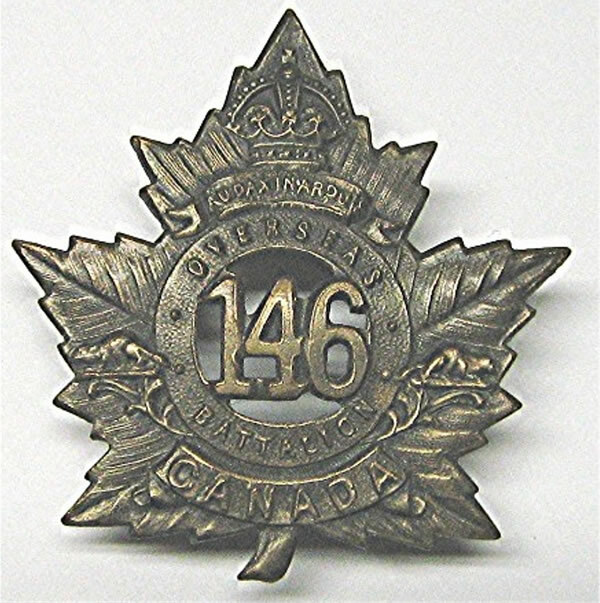 Howard Roland Abbott (regimental # 835541) of Mountain Grove enlisted in the 146th Battalion of the Canadian Expeditionary Force on 1 February 1916 at Sharbot Lake, Ontario. 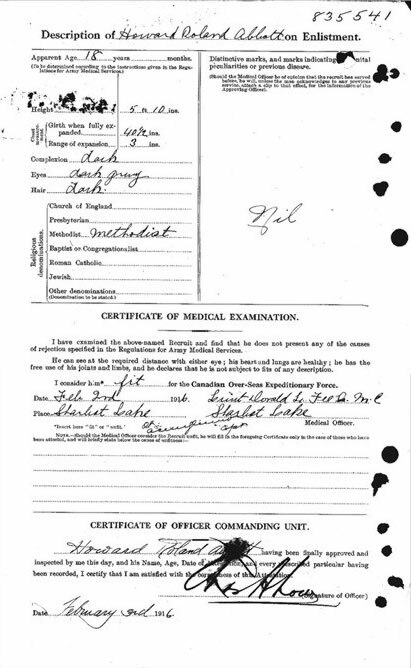 Born on 19 December 1898 in Olden Township to parents Azel Cook Abbott and Lydia Alice Coulter, Howard was just past his seventeenth birthday when he enlisted. 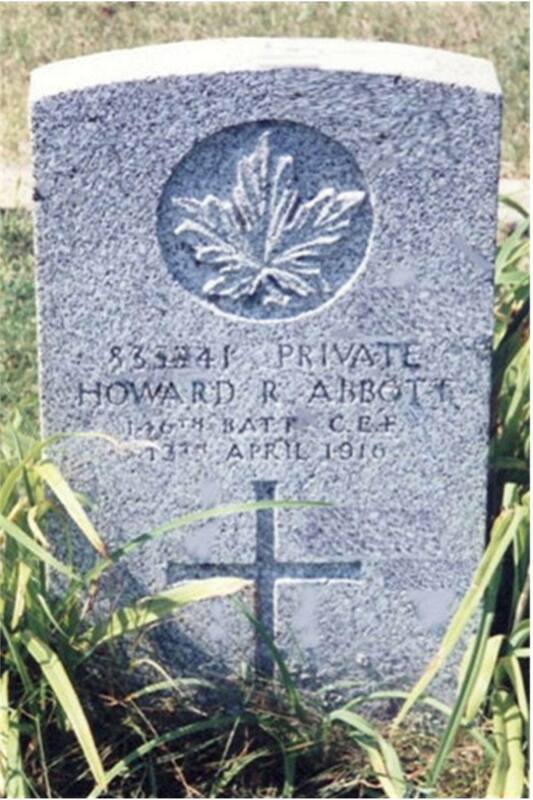 Family records have provided the undated photo above of Howard Abbott in civilian clothes, as well as a photo of his cap badge and a 1916 group photo of the 146th Battalion taken at Sharbot Lake. 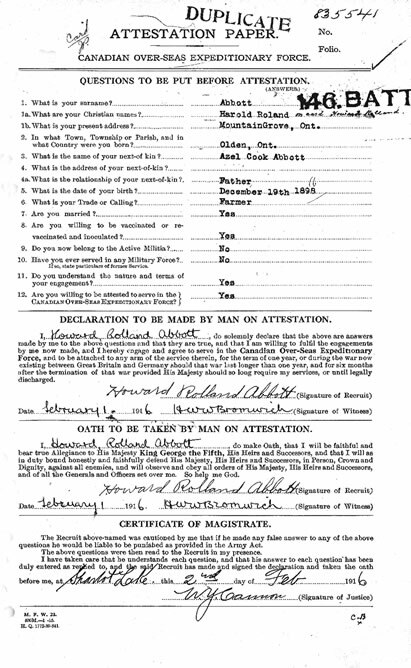 Sadly, Howard Roland Abbott died of pneumonia only two and a half months after his enlistment, on 13 April 1916. 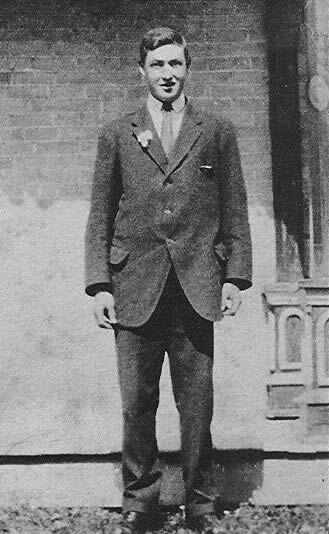 His grave marker, pictured right, is in the Olden Pioneer Cemetery at Mountain Grove. 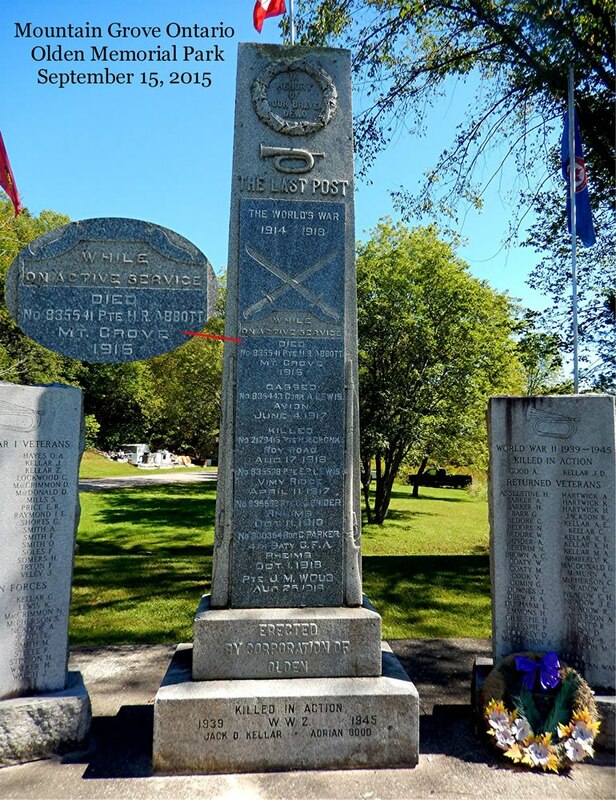 Howard Abbott's name also appears on a monument in Olden Memorial Park, in Mountain Grove. 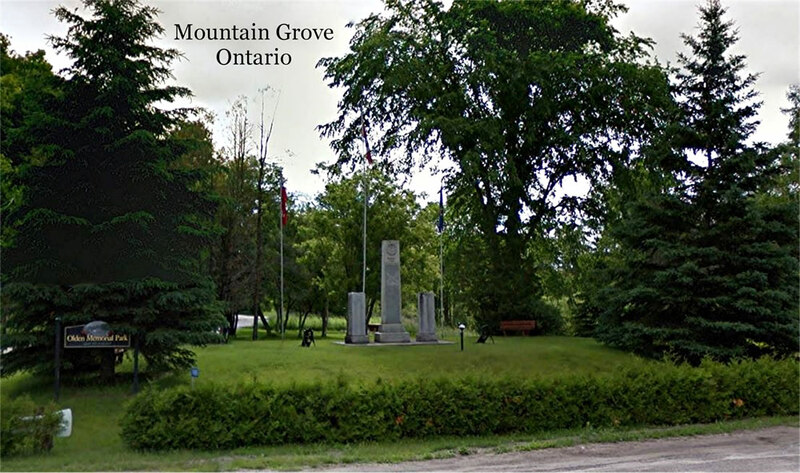 The photos below were kindly provided by Robert Little of Hamilton, Ontario, who visited the park on 15 September 2015.